The DPS has an active crime prevention program which is dedicated to reducing criminal opportunities and encourages the members of the campus community to take responsibility for their own safety and security, and the safety and security of others. This Unit is available for crime prevention and safety presentations in both classrooms and dormitories. Jackson State University does not allow the possession, sale of or consumption of alcoholic beverages on campus. The same policy applies to illegal drugs. Any individual found possessing, using or distributing alcohol or drugs is subject to disciplinary action and arrest, imprisonment and/or fine according to state and local laws. Keeping yourself informed about alcohol and drugs is an important step in developing a healthy life-style and in knowing how to cope with problems as they arise. 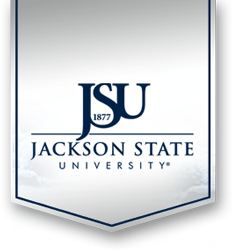 Jackson State University provides useful and informative prevention education programs throughout the year. For information, call the Center for Interdisciplinary Alcohol/Drug Studies Center, at (601) 979-2350, the University Health Center, at (601) 979-2260, or the LaTasha Norman Counseling Center, at (601) 979-0374. Regarding weapons, the University DOES NOT allow the possession, discharge of or use of weapons, including firearms, knives, look-alike firearms, BB guns or other instruments that may be used with deadly force to cause bodily injury. Additionally, explosives, fireworks and other deadly weapons are also prohibited. The distribution, possession or use of illicit drugs or weapons are prohibited on campus property or at functions sponsored by the University.